Smartphones have slowly changed our lives. Now the same simplicity and ease of use arrives in our homes, in the objects that are more familiar to us. It can be connected with many ZigBee wireless devices. You can control it inside and outside your home with the App that you can download from Apple Store or Google Play. It learns from your behaviors and helps you saving money. It tracks the consumption of connected devices and verifies their correct operation. 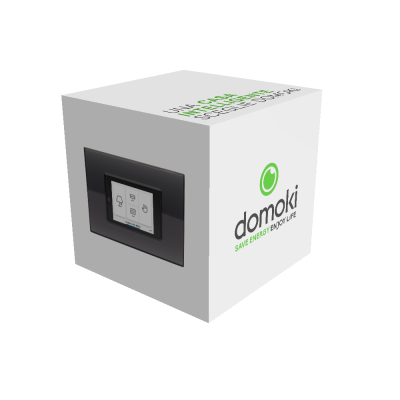 We created domoki cube for the needs of an usual apartment. With a single kit, you can replace the thermostat, control up to 3 electrical devices and guarantee safety with the motion sensor and gas sensor, even when you’re away from home.